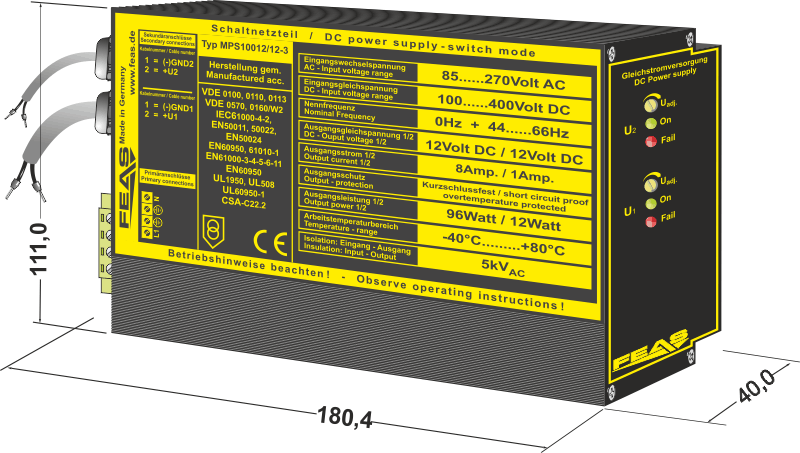 The switch-mode power supplies of the MPS100 series are powerful and robust devices to power sensitive loads in a rough industrial environment. These features result from the modern construction with a good radio shielding and high reliability integrated in a functional and stable casing. The short circuit proof output DC voltage of this model can be adjusted. 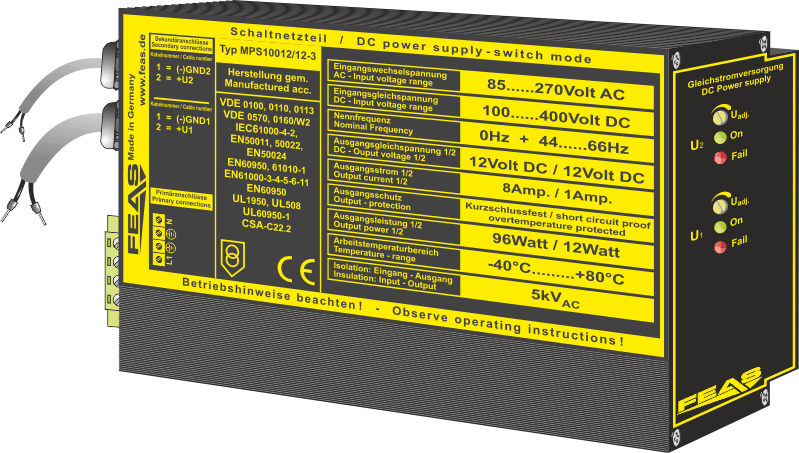 The output current can rise up to 150% of rating, therefore this power supply is suitable for loads requiring high starting currents.